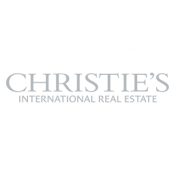 Since 2005, through their company SPG Finest Properties, the SPG-RYTZ Group have been the exclusive partner of Christie’s International Real Estate’s international network for the French-speaking region of Switzerland (Geneva, Vaud, Valais, Fribourg, Neuchâtel and Jura) and Gstaad. SPG Finest Properties represent one of the benchmarks in the field of sales (brokerage) but also rentals and management of exceptional properties. Their main focus is on looking for, selling and leasing luxury properties. 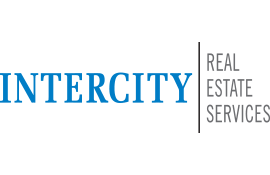 Since 1992 in the commercial property sector, the SPG-RYTZ Group has worked closely with SPG Intercity, a company specialized in commercial property, and present in Geneva, Lausanne, Zurich and Basel. As an “Alliance Partner” of Cushman & Wakefield in Switzerland, SPG Intercity benefits from an extensive international network. Through its company SPG Finest Properties, the SPG-RYTZ Group has worked with the family business Wüst und Wüst, specializing in the commercialization of exceptional properties in German-speaking Switzerland. Since 1992, Group SPG-RYTZ have been the French-Swiss partner of Intercity Group, based in Zurich and active in German-speaking Switzerland. Both groups share family values and a long-term vision, allowing them to offer quality real-estate services to their customers all around Switzerland. Since 1992, the SPG-RYTZ Group has had a special relationship with the international group Cushman & Wakefield, who are among the world leaders in commercial property and whose headquarters are based in London and New York. Cushman & Wakefield employ 45,000 professionals in more than 70 countries.